Other Employment Law Rights Category Archives — New Jersey Employment Lawyer Blog Published by New York Emplyment Law Attorney — Hackensack Employment Lawyer — Rabner Baumgart Ben-Asher & Nirenberg, P.C. Last month, Governor Christie signed into law an amendment to the New Jersey Opportunity to Compete Act (“OTCA”). 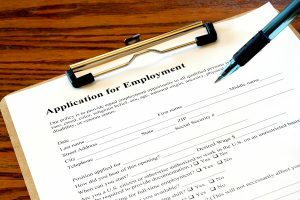 The OTCA, more commonly known as the “ban-the-box” law, restricts employers from inquiring about a job candidate’s criminal record during the initial job application process. The amendment to the OTCA went into effect on December 20, 2017. It makes it clear that the OTCA applies to expunged criminal records. As noted in the Senate’s statement about the amendment, an expungement is the “removal and isolation of all records on file within any court, detention or correctional facility, law enforcement agency, criminal justice agency, or juvenile justice agency” about an individual’s “apprehension, arrest, detention, trial, or disposition of an offense” in the criminal or juvenile justice system. Ordinarily, once an expungement has been granted, the person’s arrested, conviction, and other related proceedings are considered not to have occurred. The amendment also makes it clear that the Act prohibits online inquiries about an individual’s criminal history. The law initially only referred to “written” inquiries, presumably leaving it unclear whether it applies to online inquiries. Earlier this month, the City of Elizabeth became the tenth New Jersey municipality to require employers to provide a minimum amount of paid sick leave time off from work. Elizabeth, which is in Union County, joins Newark, Montclair, Bloomfield, East Orange and Irvington in Essex County, Jersey City in Hudson County, Passaic and Paterson in Passaic County and Trenton in Mercer County in entitling employees to paid sick leave time off from work. The Elizabeth ordinance is similar to each of the other 9 ordinances. With some exceptions, they generally require employers with at least 10 employees to provide at least 80 hours of paid sick time per year. In contrast, employers with fewer than 10 employees are only required to provide employees 24 hours of paid sick leave each year. Bruce Kaye owned and managed three separate timeshare businesses in New Jersey, Flagship Resort Development Corporation, Atlantic Palace Development, LLC and La Sammana Ventures, LLC. His employee, Alan Rosefielde, is an attorney who served as the Chief Operating Officer and General Counsel for two of those businesses. Mr. Rosefielde’s salary was $500,000 per year. The trial court ruled that Mr. Rosefielde violated his duty of loyalty to his employers. For example, when he formed a new business to manage the timeshare properties owned by one of Mr. Kaye’s businesses, Mr. Rosefielde gave himself a larger percentage ownership in the new business than he and Mr. Kaye had agreed. Mr. Rosefielde also falsely claimed another new business he formed would manage sales only for one of Mr. Kaye’s businesses, but tricked Mr. Kaye into signing documents authorizing the new company to manage sales for companies all over the world. 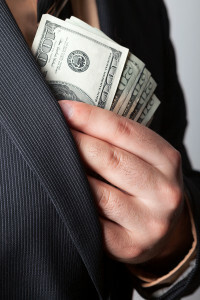 Mr. Rosefielde’s other misconduct included receiving reimbursement for $4,000 of personal expenses by falsely claiming they were business expenses, directing someone to forge the signatures of defaulting timeshare unit owners who could not be located to transfer their ownership without foreclosure proceedings, and making misrepresentations to an insurance company to provide health insurance to independent contractors working for Mr. Kaye’s businesses. Last month, New Jersey passed a new employment law that provides some protection to individuals who have criminal records. Officially named The Opportunity to Compete Act, the law is more commonly referred to as a “ban-the-box” law because it limits when employers can include a box on job applications to indicate whether the job candidate has been convicted of a crime. The law was passed because it has become extremely common for large companies to conduct criminal background searches before they make hiring decisions. According to the New Jersey Legislature, this impacts tens of millions of adults who have criminal records, even though they can make a valuable contribution to the workforce. The Legislature considers this particularly important since finding employment significantly reduces the likelihood someone will repeat their criminal behavior. The Act prohibits employers from requiring job candidates to indicate whether they have a criminal record, or from asking questions about a job candidate’s criminal record during the job application process. However, it permits employers to ask limited follow up questions if a job applicant discloses that he or she has a criminal history. New Jersey law prohibits employees from disclosing or using certain confidential information that belong to their employers. Since many companies are sensitive about having their trade secrets used by their competitors, they frequently require employees to sign confidentiality and trade secret agreements prohibiting employees from using or disclosing their confidential information. Employees should be aware that earlier this month employers gained additional protection for their trade secrets when Governor Christopher Christie signed the New Jersey Trade Secrets Act into law. What Does The New Jersey Trade Secrets Act Prohibit? The New Jersey Trade Secrets Act prohibits individuals from misappropriating someone else’s trade secret. It defines “misappropriation” as (1) obtaining someone else’s trade secret from someone who you know or have reason to know obtained it improper means; or (2) disclosing or using someone else’s trade secret without their consent if you: (a) used improper means to learn it; or (b) knew or had reason to know it was obtained by improper means when you disclosed or used it; or (c) knew or had reason to know it was obtained by improper means before you materially change your position based on it. It defines a “trade secret” as information in any form that has actual or potential economic value because it is not generally known or knowable by others through a proper means, but only if the owner of the information uses reasonable efforts to keep it secret. On December 22, 2009, President Obama signed into law the Fiscal Year 2010 Defense Appropriations Act. This new employment law extends the period during which certain employees who are laid off or otherwise lose their jobs through no fault of their own can receive a federal subsidy of their health care costs. More specifically, this new law extends the period of the subsidy under the American Recovery and Reinvestment Act, commonly called the 2009 Economic Stimulus package. Specifically, for a limited period the United States government will pay 65% of the health insurance premiums for qualified employees, for up to nine months after an employee is involuntarily fired or laid off. Under the Stimulus package, that subsidy applies to qualified employees who lose their jobs between September 1, 2008 and December 31, 2009. The 2010 Defense Appropriations Act extends that period through February 28, 2010. It also extends the maximum length of the subsidy from 9 months to 15 months. This benefit applies to former employees who are covered by the Consolidated Omnibus Budget Reconciliation Act (COBRA) who involuntarily lose their jobs between September 1, 2008 and December 31, 2009. COBRA applies to people who are eligible to receive health insurance benefits from a company with at least 20 employees. The government subsidy also applies to former employees who work in states that have “comparable continuation coverage” that apply to smaller companies (often called mini-COBRA laws). That includes employees who work for smaller companies in both New York and New Jersey. A new amendment to an important employment law was included in the American Recovery and Reinvestment Act, a law which you might know better as President Obama’s most recent Economic Stimulus package. Under that law, the United States government will pay 65% of an employee’s health insurance premiums for up to nine months after an employee is involuntarily fired or laid off. This new provision is part of the Consolidated Omnibus Budget Reconciliation Act (COBRA). It applies to individuals who are covered by COBRA who involuntarily lose (or lost) their jobs between September 1, 2008 and December 31, 2009. It even covers individuals who have already turned down COBRA benefits since September 1, 2008. The government stipend toward COBRA benefits is reduced for individuals who make more than $125,000 per year and married couples who file joint tax returns and earn more than $250,000 combined. The benefits phase out completely for individuals who make more than $145,000 and for couples filing joint tax returns who earn more than $290,000 combined. COBRA is a law that allows many employees, as well as their spouses and dependent children, to continue to receive health insurance benefits for at least 18 months (and under certain circumstances, for as long as 36 months) after they lose their health insurance coverage from an employer. COBRA allows those individuals to pay for their health insurance based on the employer’s group rates, plus a 2% administrative cost. Prior to the stimulus package, employees who elected to continue their health insurance benefits under COBRA had to pay the entire cost of keeping their medical benefits out of their own pockets. Employees who are eligible for the new government subsidy only have to pay 35% of that cost. The New York Department of Labor recently issued guidelines for employee blood donation leave under New York State Labor Law Section 202-j. That law, which went to effect late last year, requires companies with twenty or more employees to allow employees to take time off to donate blood. Those companies must choose either to allow employees at least one leave of absence of up to 3 hours each year to donate blood (off-premises blood donation leave), or allow employees to donate blood during work hours at least twice a year at a “convenient time and place set by the employer,” such as allowing employees to participate in a blood drive at their place of employment, without having to use accumulated leave time (on-premises blood donation leave). Employers are not required to pay employees during off-premises blood donation leaves. The right to take off-premises blood donation leave is based on a calendar year, meaning that covered employers that elect off-premises blood donation leave must permit employees to take at least one such leave during each calendar. Employers cannot require employees to use accumulated vacation, personal, sick, or other leave time for on-premises blood donation leave. The right to take leave is based on a calendar year, meaning that covered employers that elect on-premises blood donation leave must offer employees two on-premises blood donation leaves during each calendar year. The requirement that on-premises blood donation leave must be at a “convenient time” means during an employees’ normal scheduled work hours. The requirement that on-premises blood donation leave must be at a “convenient place” means employers cannot require employees to travel an unreasonable distance. Covered employers must offer an alternative option for employees who are unable to participate in an on-premises blood donation leave, such as when an employee is sick or on vacation during a scheduled company blood drive. Covered companies must give employees who donate blood at an on-premises blood donation leave enough time off to donate blood, recover (including eating something after donating blood), and return to work. Covered employers must prominently post notice of any on-premises blood donation leave at least two weeks in advance. Companies cannot schedule an on-premises blood donation leave when a significant number of employees are out of the office, such as during the last week of December or around other major holidays. Employers must notify employees in writing of their right to take blood donation leave in a place that ensures employees will see it, such as by posting the information prominently in a place where employees gather, or including the information with employees’ paychecks or in the employee handbook. Employers can require employees to give advance notice of when they plan to take a blood donation leave. Ordinarily, employers can require employees to give up to 3 workdays’ notice before taking an off-premises blood donation leave, or 2 days notice before an employee participates in an on-premises blood donation leave. However, employers can require up to 10 working days advance notice if necessary because the employee’s position is essential to the company’s operation, and employees can give less than 3 days’ notice if they are donating blood because of an emergency surgery of the employee him or his or her family member.